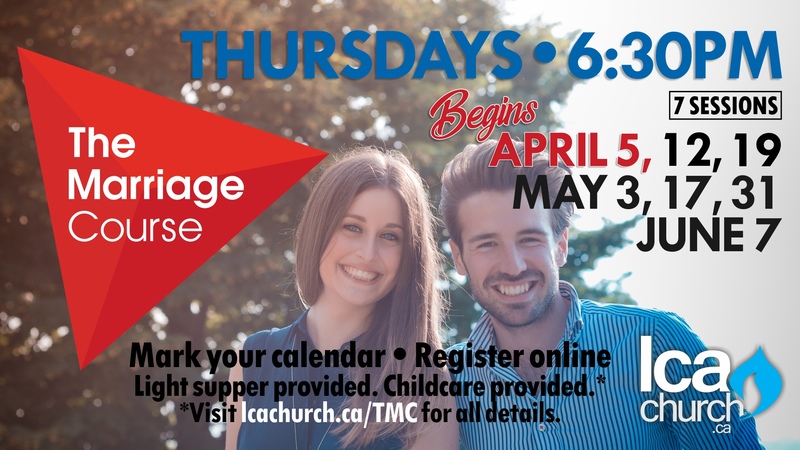 March 24, 2018 – Laval Christian Assembly • A church for everyone! Starting with fellowship and a light meal. Video session will start at precisely 7PM – so be on time and be ready to learn. Nicky and Sila Lee have been helping couples learn and grow together for over 20 years. Through teaching, discussion, interviews, we’ll hear from several couples as they tell us about their experiences as well as others with expertise to share with us. You will learn how to develop a strong foundation for marriage as well as some tips on life as a couple. Whether you are married for 2 years or 20+ this is for you – it will strengthen your marriage. One thing it will not do – we will not have you revealing intimate things or being embarrassed. So, don’t be afraid – just come. • The Marriage Course is free. However space is limited so you must be registered to attend. • Childcare is provided for $5 per child for the evening. Children will not be permitted to stay with parents; babies if sleeping, can be with parents. • A donation box will be available to cover some of the costs of the light meal and refreshments. Laval Christian Assembly is affiliated with the Pentecostal Assemblies of Canada and has been ministering in the city of Laval, Quebec since 1993.